On 29 January 2019 Mercury unites with the Sun at 9º55’ Aquarius, known as the superior conjunction of Mercury in which the star of Hermes is purified and regenerated in the heart of the Sun. It is known as the “superior” conjunction because Mercury is moving direct and fast on the far side of the Sun from our Earth in orbit, the same place in orbit the “superior” planets Mars, Saturn, and Jupiter also conjoin the Sun. There is debate amongst astrologers whether or not the superior conjunction is the actual beginning of the entire synodic cycle of Mercury, or if instead the beginning is the inferior conjunction when Mercury is retrograde. Those who prefer the superior conjunction in part use the symbolism of it being a more celestial solar union, that on the far side of the Sun the star of Hermes is experiencing a heavenly communion that seeds its twilight appearance as an Evening Star. In contrast, the inferior conjunction of Mercury when retrograde is more earthy and chthonic, an epiphany in the underworld that seeds the heliacal rising of Mercury as a Morning Star. No matter your viewpoint regarding which one is the beginning of the total cycle (I feel it’s the inferior conjunction), it is important to realize that both solar unions of Mercury are rebirth moments for Mercury, and so the superior conjunction happening today is a reanimation and revivification of Mercury. The term “cazimi” is a Latin transliteration of Arabic meaning “as if in the heart,” described by Rhetorius of Egypt back in the 6th or 7th century with the Greek term enkardios, meaning “in the heart.” Though Rhetorius defined the boundary of being cazimi as within one degree of the Sun, later medieval astrologers such as Guido Bonatti tightened it to being within sixteen minutes of orb. When Mercury disappears from visibility under the beams of the Sun around fifteen degrees its significations begin to be consumed by the Sun, similar to the lightheadedness we feel once inside the heat of a sauna or hot spring. Moreover, Mercury’s purifying process becomes even more intense once it is “combust” within nine degrees of its solar union. For the past couple of weeks, Mercury has been direct in motion and fast in speed, but due to being combust it could have felt like a clouding of our capacity to clarify meaning, like having a rush of too many ideas to find a focused center. As Mercury enters the heart of the Sun (one degree on either side), however, it is like Mercury is satisfyingly seated upon the solar throne, like the star of Hermes is holding the reins of solar steeds within the chariot of Helios. As the significations of Mercury become strengthened on the day of its solar union, so can we coalesce important insights and envision the path to follow into the unknown, rejuvenating our perceptual field. The superior conjunction of Mercury in Aquarius will facilitate gaining greater clarity over whatever material was stirred up by the Solar Eclipse in Capricorn and Lunar Eclipse in Leo that occurred within the past month. A waning crescent Moon in Sagittarius is applying to Mercury and the Sun in Aquarius through a harmonizing sextile, increasing receptiveness to integrating core lessons and sifting through what needs to be let go. In addition, the celestial cazimi of Mercury in Aquarius is occurring at the same degree that Mars stationed retrograde in Aquarius seven months ago and as a result could also coincide with revelations related to whatever was volatilized by the backward march of Mars. It will be worthwhile to reflect upon the meaning of the Aquarius house in your natal chart as well as the aspects made by ten degrees of the Water Bearer. Fortunately, Mercury in Aquarius enjoys deep contemplation and united with the Sun can help promote greater objectivity in reflection. Interestingly, since the superior conjunction of Mercury is at 9º55’ Aquarius it is on the threshold of crossing from the first to the second decan of Aquarius. There is a bridging quality to this solar union of Mercury in Aquarius befitting the crossing of a border between known and unknown territory. As we approach the close of an eclipse season, Mercury in Aquarius will help with the necessary process of stripping away old beliefs and identities, fortifying our ability to follow the inner guidance of our heart and mysterious inner knowing. In addition, the superior conjunction of Mercury in Aquarius is also bridging the Mercury retrograde in Sagittarius that occurred last November with the upcoming Mercury retrograde in Pisces that will happen next March. Since both of these Mercury retrograde phases are centered around tension between Jupiter in Sagittarius and Neptune in Pisces, the union of Mercury with the Sun in Aquarius can ideally help us dissolve away any illusions or delusions attached to our imaginal visions. After Mercury in Aquarius separates from its union with the Sun it will begin applying to a sextile aspect with Jupiter in Sagittarius. Since the Aquarius superior conjunction is occurring at the midpoint of two Mercury retrograde phases centered around Jupiter and Neptune, Mercury in Aquarius can help us receive an insightful message regarding the last quarter square phase occurring between Jupiter and Neptune throughout 2019. Dane Rudhyar wrote that the Jupiter and Neptune cycle points toward essential steps to take in transforming “our traditional social sense,” explaining it can not only bring “a new awareness of what human relationship can mean,” but also that “it is the accumulation of these small changes which at last allows the great revolutionary events to happen.” It may be hard at times to feel positive about changes in human relationships given the gross amounts of discord occurring in current events, yet it is exactly at such a time that each individual choice to make a change for the better can begin to swing the tide. The Mercury retrograde in Sagittarius and Scorpio that occurred last November involved Mercury stationing in a square aspect with Neptune and then regenerating in the heart of the Sun while also conjoining Jupiter. During the upcoming Mercury retrograde in Pisces that will begin on March 6, Mercury will station retrograde within range of a square with Jupiter and then ultimately station direct while conjoining Neptune in Pisces. This means that Mercury will end up making three conjunctions with Neptune in Pisces as well as three square aspects with Jupiter in Sagittarius. Due to the approaching Mercury retrograde in Pisces, we can know that on the horizon we will be taken into an underworld journey leading us to question the inner sources of our vision. Normally we are only aware of the surface manifestations of our subconscious soul, swimming, surfing, or sailing atop the waves, occasionally taking a deep dive into the underwater of our unconscious. The Mercury retrograde in Pisces coming in March will plunge us deeper into the imaginal ground underlying Neptune’s oceanic field. Whether we ultimately experience a deepening of the current vision coalescing now during the Mercury retrograde in March, or instead realize we need to radically change directions, the important thing for now is to focus on whatever is speaking to our authentic nature. Sometimes we need to be drawn toward a goal not so much to achieve the goal we set out to achieve, but to instead learn an essential lesson that then leads us to create a more important new goal. Now that we are coming to the close of a tumultuous period of eclipses, we can reconsider what values are most worthwhile for us to prioritize, reformulating a more essential integrity to embody. 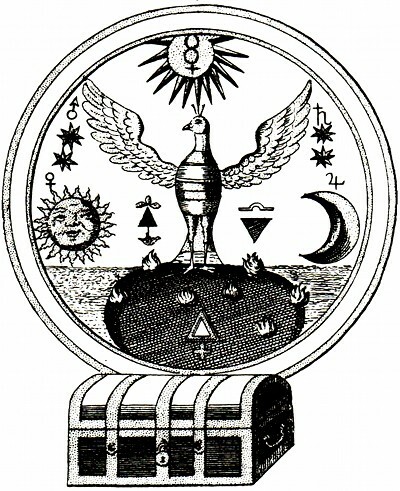 Interestingly, the sabian symbol for the degree of Mercury’s superior conjunction is “A MAN WHO HAD FOR A TIME BECOME THE EMBODIMENT OF A POPULAR IDEAL IS MADE TO REALIZE THAT AS A PERSON HE IS NOT THIS IDEAL.” This symbol works well for the solar conjunction of Mercury in Aquarius can burn off old identities, especially with regard to separating our essential self from the roles and ideals we have taken on within the collective. Mercury forms a six pointed, hexagonal star within its synodic cycle with the sun, a fitting symbol for its nature of bringing together the above and below (the upward pointing triangle formed by superior conjunctions; the downward pointing triangle formed by inferior conjunctions). Gary Caton in his book Hermetica Triptycha showed the elemental aspect of this hexagon, as Mercury has a pattern of often forming the downward pointing triangle in one astrological element, while the upward pointing triangle occurs in another. While the Mercury retrograde phases occurred in Fire signs from the end of 2017 through 2018, this year we transition into the Mercury retrogrades primarily occurring in water signs of Pisces in March, Cancer in July (though in July the stationing retrograde of Mercury will be at the beginning of Leo before moving back into Cancer), and Scorpio in November 2019. The Mercury retrograde phases will continue to occur in the Water signs of Pisces, Cancer, and Scorpio until the end of 2020, and so it will be helpful to reflect upon what houses you have in Water signs in your natal chart and what sort of mercurial changes could occur therein. What phase are we in now within this six pointed star? As Mercury begins to separate from the Aquarius Sun on January 30 it will experience another purifying period of being invisible under the beams of the Sun as we work on integrating whatever new insights and presence have emerged. Mercury will make an oracular appearance as an Evening Star around February 16, becoming visible in twilight, glimmering on the western horizon. In the week surrounding Mercury’s reappearance, it’s likely you will gain much more clarity regarding the ideas beginning to formulate in your mind during the superior conjunction, and there will also be pivotal announcements in current events. Interestingly, astronomers have stated that February will be the best evening sky appearances for viewing Mercury in all of 2019; perhaps in correlation it will also be especially illuminating within our mind. This will be an auspicious time to be engaged in all things mercurial, from writing about new ideas to translating ancient ones into new understanding. Mercury will then reach maximum elongation on February 26 at 27º Pisces, which will be the best time to view Mercury in twilight. This date also marks a deepening into the alchemical Mercury retrograde process, with Mercury ultimately stationing retrograde on March 6 at 29º38’ Pisces. Caton, Gary. (2017). 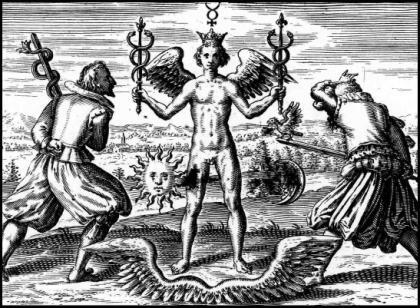 Hermetica Triptycha: The Mercury Elemental Year. Rubedo Press. George, Demetra. (2019). Ancient Astrology in Theory and Practice: a Manual of Traditional Techniques. Rubedo Press. Rudhyar, Dane. (1958). The Jupiter-Neptune Cycle. Horoscope Magazine. Rudhyar, Dane. (1973). An Astrological Mandala: the cycle of transformations and its 360 symbolic phases. Mercury forms its superior conjunction with the Sun on 27 October 2016 at 4°42′ Scorpio. The superior conjunction occurs when Mercury is moving swiftly through the zodiac on the far side of the Sun in orbit, aligning with Earth in a straight line with regards to the degree of the zodiac. The superior conjunction of Mercury always occurs when Mercury is moving direct, in contrast to the inferior conjunction of Mercury that occurs when Mercury is retrograde and slowly moving in between the Earth and the Sun in orbit. While Mercury retrograde in conjunction with the Sun corresponds with an intensely deep, subterranean turn within for insight, the superior conjunction of Mercury in contrast signifies a blazing flow of illumination that can bring about an epiphany of realization as long as we do not become overwhelmed in our flight of mind like an over eager Icarus. Mercury uniting with the Sun in Scorpio brings penetrating awareness into the underlying emotional dynamics of our present circumstances. Mercury has more difficulty in water signs in terms of being able to clearly articulate all of its perceptions, as Mercury in water signs picks up on feelings and messages that go beyond words. Poetry, music, art, and other creative forms of expression enable Mercury in water signs to convey more of the meaning it receives, and sometimes a look or knowing presence is all Mercury in a water sign needs to do in order to transmit profound insight. Emotions take center stage with Scorpio, and while the water element allows Mercury in Scorpio to dissolve blockages and merge with external sources, its fixed nature can make it stubborn, unbending, and controlling. When Mercury in Scorpio lets go of needing to ensure it securely has whatever it desires within its grasp, it gains the non-attachment needed to take full advantage of its ability to discern between those who are being honest or dishonest and not only unveil the personal truth of its situation but directly communicate its truth to others. Mercury at the heart of the Sun in Scorpio can be especially powerful in terms of picking up essential information about our relationships due to the surrounding astrological aspects today. Mars, the ruler of Scorpio is in Capricorn and applying to a square with Uranus, signifying that unexpected shocks as well as liberating revelations could enter awareness. Venus in Sagittarius is especially active, having recently formed a square with Neptune in Pisces and a mutually received sextile with Jupiter in Libra, and now applying to a conjunction with Saturn in Sagittarius. All together, these surrounding aspects are exposing any fantasies and over idealized perceptions we have been fixated upon in our relationships. By being willing to embrace our honest feelings about our present relationships, the Mercury cazimi in Scorpio can not only help us penetrate into our essential truth and feelings but also help us directly communicate whatever we need to state about our needs and desires to those we are in relationship with. The last time Mercury was at the heart of the Sun was during its retrograde in Virgo on 12 September 2016. This was a potent inferior conjunction of Mercury in between eclipses that also formed a catalytic square with Mars in Sagittarius. Following this inferior conjunction, Mercury stationed direct and reappeared at dawn as a Morning Star, a phase Mercury has remained in since then up until now. The superior conjunction of Mercury marks the transition of Mercury shifting from its Morning Star phase into its Evening Star phase. Whereas the Morning Star Mercury is active with curiosity and ambitiously focused upon goals in worldly affairs, the Evening Star Mercury is more reflective, discerning, and attuned with how our bodily senses integrate messages from our environment. Mercury will not be visible as an Evening Star until around 23 November 2016 when it forms a conjunction with Saturn in Sagittarius and sextile with Jupiter in Libra. The exact alignment of Mercury with the Sun, known as being cazimi or at the heart of the Sun, is special because although Mercury is not visible in the sky its entry into the heart of the Sun places it in the throne of our Solar Light, strengthening all of its Mercurial significations. Mercury is traditionally considered to become invisible or “under the beams” when it gets fifteen degrees away from the Sun- this happened on 6 October 2016. Once Mercury gets within eight degrees of the Sun it is considered “combust” and somewhat weakened in its ability to manifest its significations due to it undergoing a purifying, regenerative near death experience in the symbolic flames of the Sun. Mercury went combust around 15 October 2016 at the time of the Full Moon in Aries that was conjoining Uranus. Since that time our Mercurial perceptions have been going through a period of having past patterns burned off, and while this doesn’t mean we haven’t been able to communicate or interpret meaning effectively, it does mean that getting in touch with the concept of Mercury finishing a cycle can help one flow better with the energy similar to being aware of the difference in experiencing a Dark Moon as opposed to a First Quarter Moon. The first mention of Mercury being at the heart of the Sun was in the era of Hellenistic astrology, and astrologers such as Rhetorius of Egypt declared that the significations of Mercury become greatly strengthened once it is within one degree of the Sun. Later astrologers in the medieval period asserted that Mercury needs to be within 16 minutes of the Sun by degree because 16 minutes is one half of the Sun’s apparent size of 32 minutes. On a practical level I have found that the one degree boundary works well in defining a window in which Mercury is strengthened, but if you want to get most exact about it focus on the time period in which Mercury is within 16 minutes of a conjunction with the Sun (in the Pacific time zone, this will be roughly between Midnight and 7 pm on 27 October 2016). Mercury at the heart of the Sun is a magical moment in its synodic cycle, a time of the rebirth of the Mercury archetype in our life. We can receive vital realization or new conception concerning our present state of being, so making the space during the cazimi time period to center, ground, and attune within is a fertile, fruitful choice today. Memories envelope the New Moon in Cancer on 4 July 2016, memories which nourish as well as memories which torment with the pang of loss. The Moon is home in Cancer, and the blackness of the New Moon lacking solar light signifies the pure, raw emotions of the lunar realm. The Moon’s constant waxing and waning, reflecting and holding the light of the Sun, illustrates why we associate Cancer and the Moon with the ebb and flow of our moods and the ever present influence of our memories. We hold memories of past loves and peak emotions in Cancer and the Moon, as well as remembrances of family, cultural, and ancestral origins. While memories bring sustenance and source our flights of imaginative vision, the reminiscences of our most blissful times can also become torturous in the pain of losing their source. Attachments to memory can overburden us when grieving what we have lost, and can also be sources of disruptive illusions in those attached to sentimental nostalgia rather than the arising change of the moment. In collective events there has been a Nationalistic, xenophobic, homophobic, and bigoted monstrosity raging that has its roots in a nostalgia for cultural illusions of the past. The positive message found in the Cancer New Moon is resolution through reconciling the past with the present, and in the stillness of a reflective moment experiencing the flowering of grace. The New Moon in Cancer brings a cathartic release through its opposition to Pluto. Instead of a soft and supple lunar goddess we will feel more in the protective presence of a hard and skeletal Santa Muerte. Pluto has been associated with Shiva and his fierce destructive aspects by many astrologers, as the experience of a hard aspect from Pluto can not only feel like a complete destruction of one’s personality, but also be experienced through devastating losses of structures and relationships we had been attached to. When we stop resisting, denying, or being overly defensive, allowing our ego to be destroyed in the quakes of Pluto, in the resulting dismemberment we are given the opportunity to reassemble ourselves into a more authentic presence, remembering our essentiality through the dismembering. Richard Tarnas in Cosmos and Psyche associated Pluto with Dionysus because it shatters and brings forth new forms in transit, and dismemberment also circulates through the stories involving Dionysus. James Hillman in Mythic Figures wrote that the dismemberment of Dionysus is “necessary for awakening the consciousness of the body,” because the loss of central control resurrects the light of each separate organ making up the whole. Hillman saw this alchemical dismemberment as an awareness that can cut through the “habitual ways we have ‘grown up’ and ‘grown together,’” by making us aware of the light found within each distinct part of our body- so it is not really a process, and “not a movement from integration to dis-integration to re-integration.” It is more of a loosening that “results in the activation of the psychic life of the organs.” Similarly, within the chaos of recent collective events that has caused fear and destruction in multitudes, the Cancer New Moon brings an opportunity to reawaken from within, impacting the external world through healing and vivifying internal fractures. Modern astrology associates Cancer with mothers, the womb, and birth, and in ancient astrology Cancer was noted as the rising sign and first house of the thema mundi, the birth of the universe. The New Moon occurs in the second decan of Cancer, and Austin Coppock in his book 36 Faces noted that the fragmentary Hellenistic text 36 Airs ascribed the figure of Heracles to this decan, the legendary hero who was tormented from birth by his stepmother Hera. My good friend Jason Holley gave a brilliant talk linking Cancer and the Moon with Heracles at the recent Northwest Astrological Conference (NORWAC) of 2016. In the Greek myth connected with the constellation of Cancer, a crab was sent by Hera to attack Heracles as he was engaged in battle with the Hydra. After the armored crustacean emerged from the watery depths and charged, sideways, toward Heracles as its claws protruded into the ankles of the hero, Heracles obliterated the crab with his foot. From the shattering of the crab, Hera thus placed it into the sky as a constellation rewarding its service to her. In his talk “Exquisite Attunement: the Moon and Empathy,” Jason Holley described lunar material as being emotional openings to the fertile void, a realm of memories that is nonlinear, somatic, and implicitly pulls things into its own rhythm. Hera’s wrath stems from her being betrayed and abandoned, similar to a devaluing of the lunar realm that sees the fertile void as valueless. Hera nurtured the Hydra to destroy Heracles, and the Nemean Lion has been said to have fallen from the Moon, sprung from Selene and brought forth at the bidding of Hera. Holley interpreted Hera’s desire to attack Heracles as an undermining of the solar self that seeks to bring the self back down into the unconscious and the emotional body. The crab emerging from the lake has come ashore from the undifferentiated unconscious, yet as Heracles shows is vulnerable to attack. Holley noted that when our internal world lacks a sense of structure and order it leads to reliance on external sources for a sense of stability and safety. If one’s capacity to contain emotional experience internally is not developed, it will be delegated to others rather than claimed from one’s own sense of inner authority. The Cancer New Moon is fruitful in terms of regaining inner security and authority following a period of loss and disillusionment that has caused deep questioning of one’s value and how it is accepted and nurtured by others. The New Moon is separating from a trine with Neptune and therefore pulling away from the square between Saturn and Neptune, applying toward harmonious aspects with its own lunar nodes. Following its opposition to Pluto, the waning Moon will form an exact sextile with Jupiter and conjunction with Venus. The embrace of loved ones will be a balm that calms, but the true potency of this New Moon is found through genuine self love and discovering security that is not dependent upon approval or admiration from others. The New Moon is also notable for intention setting related to all things Mars, as Mars is finally direct in Scorpio and beginning to slowly generate momentum in the black of the Moon. The opposition between Pluto and the New Moon reinforces the slow metamorphic feeling, akin to the tension of a butterfly wing struggling against the confines of the releasing chrysalis. Mars moving forward again in the final decan of Scorpio is a slow inferno burning off desires needed to be laid to rest, a funeral pyre releasing and transfiguring what has passed away. Those who have felt confused or thwarted in action during the Mars retrograde, or hung up on past pain that continued to poison rather than purify, will now be able to feel greater capacity to navigate into favorable currents of change and forward momentum. Laying desires to rest is never easy, and when dealing with heartbreak or mourning the pain may never be fully released. With Mars beginning to move direct again, however, there is powerful support to commit to a path and the practical actions and steps in need of the zealous force of Mars. The quincunx from Uranus and trine to Chiron are further indications of the depth of material being purged and purified in the forward crawl of Mars. Mercury is applying to a conjunction with the New Moon, approaching its superior conjunction with the Sun in which it is on the far side of the Sun in orbit from Earth. Mercury reaches its Superior Conjunction a couple days after the New Moon on July 6, where Mercury rules from the throne at the heart of the Sun and is strengthened in all of its significations. At the time of the New Moon, Mercury is combust meaning it is undergoing a period of purification and regeneration in the flames of the Sun. With Mercury in Cancer it is possible moods, memories, emotions, or fears circulating could overwhelm capacity to maintain centered focus, especially within a tumultuous environment of chaotic collective events stirring up hysteria. Although this phase of Mercury can feel overwhelming, the surrounding potent aspects to Mercury suggest epiphanies can be unveiled. The Mercurial atmosphere will contain moments to soak within the elements of our past whose memories will nourish us going forward, while simultaneously opening to a regenerated presence. Insights into one’s family or ancestral karma and influences can be found, as well as greater awareness of relational patterns and emotional dynamics we have been constellating. As a result, the New Moon supports intention setting for a strengthened sense of inner security less needful of external attachments to feel stable. The second face of Cancer where the New Moon occurs is associated with the 3 of Cups card illustrated above by Pamela Colman Smith. The mirthful image of merriment radiates mellifluous metaphors, a tarot card that signifies harmonious collaborations of inspired thought and creativity. Austin Coppock in his book on the decans 36 Faces ascribed the image of “a walled garden in which something precious is kept” to this face, adding an element not obvious from the above image: the need of protection and nurturing to allow for an incubating space that can bring forth joy, beauty, and abundance. A glance through images of this face from ancient texts reveal a profusion of beautiful women of melodious voice, some “seated on a snake-throne” (Yavanajataka) and all adorned with flowers or wreathed in myrtle (Picatrix, The Beginning of Wisdom, 777). A man appears in Three Books of Occult Philosophy in this decan, dressed elegantly in style and engrossed in play. The second decan of Cancer is ruled by Mercury. Mercury at the moment of the New Moon is applying to a trine with Neptune as well as a conjunction with the Sun and Moon. After Mercury separates from its conjunction with the Sun, it will be opposing Pluto and then receiving a sextile from Jupiter in Virgo. Mercury is in position to mediate the fracturing and ruptures created by the last quarter squares between Saturn and Neptune, and Saturn and Jupiter. Though current events are rife with destruction, murder, and desperation, though many are wrestling with struggles and fears over poverty, if one can enter into a protected space of nourishment the astrological aspects of this New Moon can also foster enlivening creativity and collaboration. Joining with others to create structured and protective spaces that filter out the mayhem of the surrounding world can help to circulate and amplify the potential for shared fulfillment and beauty. This can be a beautiful time to share your own precious gifts with others while being emotionally present to receive the inspiriting blessings of what others have to share. into the early, resolute fruit. barely waking, into the bliss of its sweetest achievement. we reach the late core of our final fruit. in whom Death the gardener wove different veins. hollowed-out relief of Karnak’s victorious pharaoh. sings him into the tempest of his onrushing world. by his darkened sound carried on streaming air. how his mother first bore nothing, and then all. his imperious choice begin inside you? but see: he grasped and let go, chose and achieved. from the high heart’s edge, future offerings to the son. he turned away, stood at the end of the smiles, someone other. Beckett, Samuel. (1977). Collected Poems in English and French. Grove Press. Hillman, James. (2007). Mythic Figures. Spring Publications, Inc. Riding the dragon of the Libra Lunar Eclipse is Lady Justice, wielding her sword that cuts through inequities, imbalances, deceptions, and disempowerment. The Full Moon Eclipse on 23 March 2016 illuminates the release and initiation of the Total Solar Eclipse that began this lunar cycle, and in the peeling away of the old dragon skin we find the regenerated richness of a purified path and vision to follow forward. In the ashes of what has been burned off there now arises refined reflection capable of irrevocably altering past patterns of limitation and inauthenticity. The lunar light of this Eclipse illuminates a visceral sense of the deep Self within and how to best bolster the growth wanting to burst forth from it. Like a lightning strike of destiny there is sudden recognition of the old that is now gone with finality, with an arising yearning for the fresh scent of replenishing pleasure appearing on the path in front of us. Libra is a sign of finding balance, the process of balancing rather than existing in a balanced state. There is a great deal of instability in the surrounding astrological aspects to this Libra Lunar Eclipse, so the task at hand is finding a center of balance to move forward with. There may be feelings of oscillation, yet within the vacillation there can be centering through claiming an authentic place of integrity. Being true to inner values and ethics, responsibility may be taken to pursue the desires that make us feel alive rather than conform to stagnant expectations of others. As a result we may act from a centered place of mature assertiveness and compassion, rather than from anger, passive aggression, vindictiveness, arrogance, or narcissism. The Lunar Eclipse in Libra occurs simultaneously with an exact last quarter square between Saturn in Sagittarius and Jupiter in Virgo, with the Libra Moon in sextile to Mars in Sagittarius, and the Sun and Mercury in Aries in trine to Mars. The last quarter square between Jupiter and Saturn has its source in the end of May in the year 2000, when the current cycle between Jupiter and Saturn began (interestingly, the previous cycle between Saturn and Jupiter began in 1980 in the sign of Libra close to the degree of this Eclipse). This is the second of three exact last quarter square aspects formed between Saturn and Jupiter, with the first occurring at the beginning of August 2015 during a Venus retrograde. At the time of this Lunar Eclipse, Saturn in Sagittarius is stationing retrograde, and so the scythe of Saturn is firmly planted with stark resoluteness. What must be released now must be released with clarity, acceptance, and responsibility if you wish to please Saturn. Jupiter is still close to the North Node of the Moon, and so at the same time with grounded presence will come awareness of a vision to follow forward bringing greater embodiment in all of the complexity of nature. The influence of Mars can light a burning passion from within, and with it a need to find a center of balance through which to mediate the fiery force. In contrast to the Solar Eclipse that began this cycle on March 8 and covered the Sun in Total blackness, this Lunar Eclipse is not Total and is instead classified as Penumbral. This is because though the Eclipse is fairly close to the North Node of the Moon, the Eclipse is actually happening at the beginning of Libra while the North Node of the Moon is at the beginning of the second decan of Virgo. The result is that the shadow cast by the Earth onto the Moon by our Sun is not going to cover the Moon in a total red glow, but instead means that only the diffuse outer shadow of Earth will cover the Moon and so the red shading will be barely noticeable. Nonetheless, this is still a potent Lunar Eclipse especially because it occurs simultaneously with a last quarter square between Jupiter and Saturn and a superior conjunction between Mercury and the Sun which imbibes a strong Mercurial influence into the proceedings. Symbolically the meaning of a Lunar Eclipse is rooted in the phenomenon of our Sun casting the shadow of our Earth onto the face of our Moon. Linking the Moon to what we carry with us in our body and mind, these memories of the past can be released or opened up to allow for the emergence of new ways of being embodied in the moment. This current Libra Lunar Eclipse is aligned with the North Node of the Moon, while our fiery Sun is burning most closely in alignment with Mercury on the side of the South Node of the Moon. The Sun with the South Node means that growth comes now from the resolution and release of old karma, and with Chiron and Ceres closely conjoining the South Node of the Moon we can further link the archetypes of Chiron and Ceres strongly into the complexity of this past karmic pattern. Among other themes linked with Chiron and Ceres is a unifying thread of self-healing, regeneration, and resilient persistence in productivity in times of loss, release, pain, and suffering. Significantly, this is the final Lunar Eclipse to occur in the signs of Aries and Libra in the series that began in 2013 (Lunar Eclipse on 10/18/13 at 26 Aries; Lunar Eclipse on 4/15/14 at 26 Libra; Lunar Eclipse on 10/08/14 at 16 Aries; Lunar Eclipse on 4/04/15 at 15 Libra; Lunar Eclipse on 9/28/15 at 5 Aries). Since this Lunar Eclipse is in close polarity to the Lunar Eclipse that occurred on 28 September 2015, there is a direct link to issues arising at the end of September last year with whatever is being currently resolved and released at this time. In the polarity between Aries and Libra, we explore the tension between the instinctual, independent needs of the self and the needs that are met through relationship with another. The series of Lunar Eclipses in Aries and Libra that stretch back to October 2013 have triggered pivotal experiences that have brought awareness to the dynamics we create in relationship and our capacity to have our needs met. Ideally, we can now gain insight into what we need to feel fulfilled in relationships, and clarity can be gained for how we can create a relationship based on equality and balanced giving and receiving. Venus rules the eclipse while separating from a conjunction with Neptune in Pisces, and applying to a square with Saturn in Sagittarius. Pisces is the exaltation of Venus, and as Neptune in modern astrology is seen as a higher octave of Venus, this Libra Lunar Eclipse brings feelings of what most deeply fulfills us in love, whether that can be found in a current relationship or instead within the clarity of having old illusions regarding love washed away. As Venus is applying to a square with a stationing Saturn, there is lucidity found by facing the actual reality of current relationships and their intrinsic patterns without denial. This Libra Lunar Eclipse will highlight what has been out of balance in our relationships, where and why we have felt disillusioned, and what we need to do to create the relationships that will bring real love, truly nurturing and ecstatic love into our life. As Venus bridges the square from Neptune in Pisces to Saturn in Sagittarius, Venus is simultaneously applying to an opposition with Jupiter in Virgo. Regarding romantic relationships, the visionary feelings of what we want needs to be grounded in the body and the actual circumstances of the moment- whatever is out of alignment with our present reality will be keenly felt. Regarding our myriad, complex relationships with the surrounding world in general, this Libra Eclipse will bring awareness to what old desires and attachments no longer serve us and are getting in the way of embodying our essential personal truth. There is a great dissolving of inner values going on at this eclipse that we have been fixated upon for a sense for a sense of security and identity, and now realize have led us into disillusioning experiences. By releasing the old, an open space is created through which regenerated inner values will emerge to source a purified vision for what will bring meaningful purpose into our life. Crucially, Mercury is entering the heart of the Sun in Aries, the exaltation of the Sun, at the time of the Lunar Eclipse. This is the superior conjunction of Mercury, when Mercury swiftly moves direct through a conjunction with the Sun, becoming purified and regenerated within the fiery rays of light. The superior conjunction of Mercury with the Sun stands in contrast to the inferior conjunction of Mercury with the Sun that occurs when Mercury is retrograde. Instead of the symbolic, oracular, chthonic perception enlivened at the inferior conjunction, the superior conjunction has a soaring epiphanic quality. Demetra George has compared the superior conjunction of Mercury to the visionary quality of Mercury in Sagittarius- at the superior conjunction there is a quicksilver rush of insight and information that can feel overwhelming and difficult to encapsulate in communication, yet can ignite ingenious, penetrating perception. With Mercury uniting with the Sun in Aries while applying to a trine with Mars in Sagittarius, Mercury is cazimi or “in the heart” of not only the Sun, but the central meaning of this Lunar Eclipse. This is a moment of past patterns of perception being burned off, with brilliant discernment arising regarding the current nature of our desires and sense of personal will. 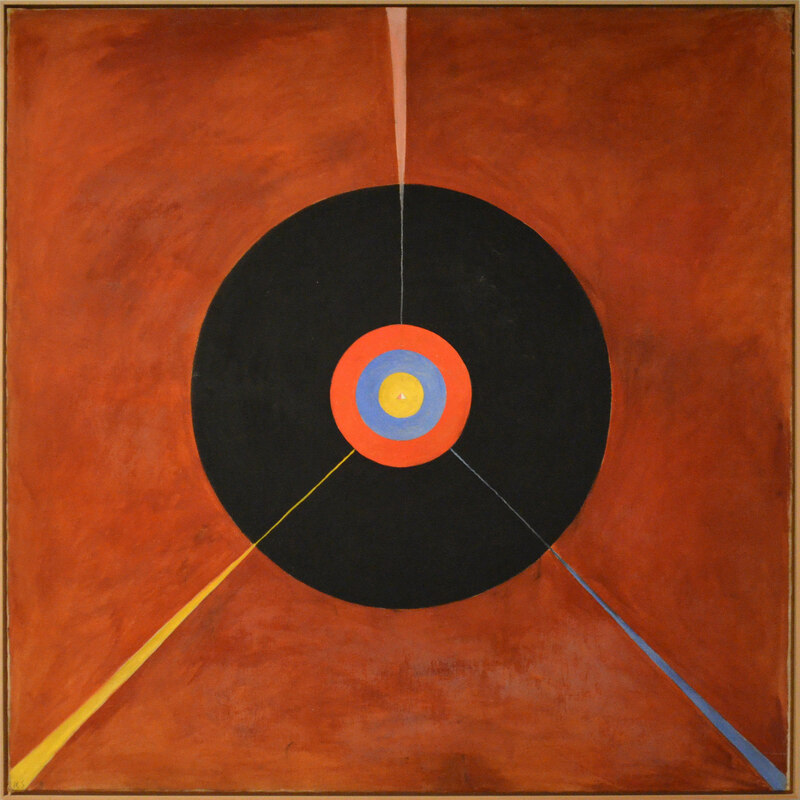 The piercing perception into our deep Self can also open awareness into unconscious forces that have been sourcing our choices and actions, and we can gain sudden clarity into how the shadow side of our personality manifested within the old Mercurial patterns being purified within the rays of the Sun. As Mars will be stationing retrograde in less than a month, this is a Mercurial moment to seize in order to discover the essence of currently arising desires and the associated intrinsic purpose that will bring meaningful fulfillment into our life as we begin to enter the upcoming Mars retrograde. The first face of Libra is associated with the Two of Swords card illustrated above by Pamela Colman Smith. In the image we see a blindfolded woman crossing two swords in front of her, while sitting before an oceanic expanse. 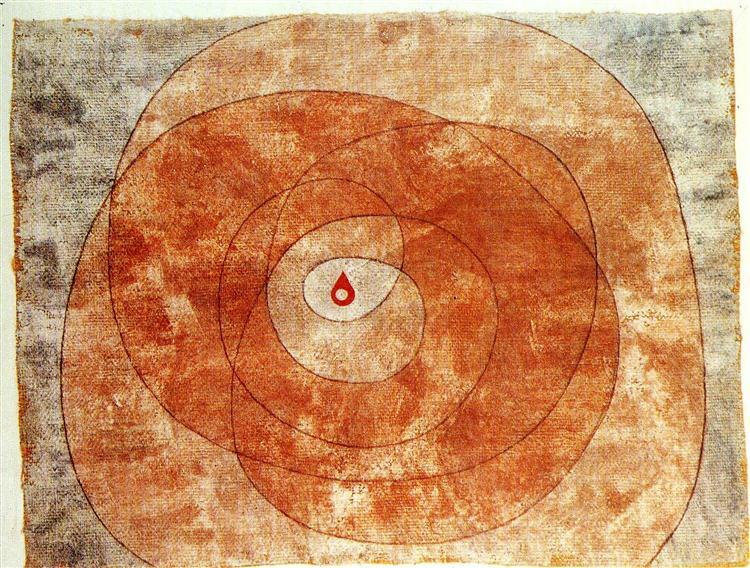 The blindfold and ocean suggest contact with the instinctual inner realm and unconscious, similar to how a Lunar Eclipse will catalyze the fertile void within. Commonly, this card in tarot has a meaning of mediating between opposing forces to find peace of mind and courageous equipoise, resolving previous conflicts within a protected space of exploring internal balance. As Venus in Pisces as the ruler of the Libra Eclipse is separating from a conjunction with Neptune and applying to a square with Saturn and opposition with Jupiter, the capacity suggested by this card to turn within to find a balanced center with which to then respond through into the external world is fitting. As the Libra Lunar Eclipse arrives and passes, as the Moon proceeds to wane once again into the dissemination and release of its monthly cycle, may we each reawaken our sense of personal truth and integrity from within, living through these inner values and carrying their ethical implications into our relationships with the surrounding world. On November 17, 2015 at about 6:53 am Pacific time, 9:53 am Eastern time, and 3:53 pm Central European time, Mercury will enter the heart of the Sun meaning that Mercury will be at the exact degree and minute of the tropical zodiac as the Sun: 24º56′ Scorpio. This concept in astrology is known as cazimi, and when it happens the planet in cazimi is said to be vivified and regenerated in the burning solar rays, purified and open to insight. Considering the importance Mercury plays in our moment to moment perception and discernment of reality, this is always a powerful moment to make the space to go within and center in your practice of choice. As Mercury will be cazimi for a broader time period than the exact time noted above, it isn’t worth the stress to force a Mercury moment at the exact listed time- anytime in the hours before or after this time can work. The current phase of Mercury we are in is known as its superior conjunction with the Sun, in contrast to the inferior conjunction that occurs when Mercury is retrograde. When Mercury is retrograde it is between our Earth’s orbit and our Sun at the inferior conjunction, whereas at the superior conjunction Mercury is orbiting on the far side of the Sun from us on Earth. Whereas the inferior conjunction has a symbolic meaning of an underworld inception of core depth, the superior conjunction has a celestial resonance, a soaring, surging quality of an onrush of information that can lead to a moment of ingenious insight. In Scorpio, the overwhelming processing of information at this superior conjunction occurs in the dark secretive recesses of our desires and consciousness. Mercury here opens us to humanity’s heart of darkness, but we must first address our own shadow, not only the fears and desires circulating in our conscious mind but also the fears and desires we hold tightly bound in the caverns of our interior away from the light of perception. A Scorpio superior conjunction of Mercury calls for honesty, for grieving what needs grieving, for releasing what needs to be transformed, and for realigning with the burning path of our essential desires. Scorpio is also about courage, and Mercury being regenerated here will not shirk from protecting whatever is most dear to our hearts. On the positive side, a Scorpio superior conjunction of Mercury helps us attune to the core soul desires that we now need to prioritize and focus upon. Integrating the geocentric planetary nodes of Mercury is further illuminating at this particular superior conjunction, as it is conjunct both the South Node and North Node of Mercury. The current South Node of Mercury is 23 degrees of Scorpio, while the North Node of Mercury is 28 degrees of Scorpio. An astrologer friend of mine, Bradley Naragon, has a theory regarding this nodal arrangement of Mercury in Scorpio in which the South Node of Mercury in Scorpio is akin to an outwardly directed Mercury, while the North Node of Mercury in Scorpio resonates with an inwardly directed Mercury. As Bradley is an evolutionary astrologer, the meaning of this in part is that the evolutionary movement of Mercury at this time is toward self discrimination regarding all of the past information gained from outer curiosity and exploration. In Scorpio, Bradley has interpreted this to mean inner insight can occur regarding past betrayals, violations of trust, and abuses of power. With this Scorpio superior conjunction of Mercury now occurring conjunct both the South and North Nodes of Mercury in Scorpio, we are at a time in which we can sense how we have been impacted by past violations and abuse, as well as penetrate into the dynamics of our own times of betraying or hurting others. As if this is not deep enough of an astrological transit to be occurring, at the same time that Mercury is cazimi we will also be experiencing Neptune stationing direct in Pisces. Neptune stations direct the day after Mercury enters the heart of the Sun on November 18, and so we are already in the vortex of feeling this Neptunian influence in our lives. This stationing of Neptune is further intensified by the fact that as it is stationing, Saturn in Sagittarius is applying to a square with Neptune. The last quarter square between Saturn in Sagittarius and Neptune in Pisces is the most impactful transit we will be experiencing in this next year, and so the superior conjunction of Mercury in Scorpio happening as Neptune stations will give us great insight into the underlying inner dynamics at play in our current experiences related to Saturn in square to Neptune. An additional significance to this Scorpio superior conjunction of Mercury is that the transiting lunar nodes have recently shifted into the mutable signs of Pisces and Virgo, and so Mercury is now the ruler of the transiting North Node of the Moon. The lunar nodes are one of those aspects in astrology in which you can hear different interpretations from different astrologers. A more traditional view is that the North Node of the Moon amplifies associated energy aspected, whereas the South Node of the Moon takes away. Personally, while the amplified aspect of the North Node does go along with many of my astrological observations, the idea of the South Node taking away to me only tells a small part of the story. A more unique interpretation of the lunar nodes I have heard was given in a lecture by astrologer Bernadette Brady at NORWAC in 2014, in which she linked the idea that the lunar nodes pinpoint eclipses to the concept of chaos, stating that the South Node of the Moon is a place in which we access chaos through our unconscious, and the North Node of the Moon being a place where we consciously access chaos. 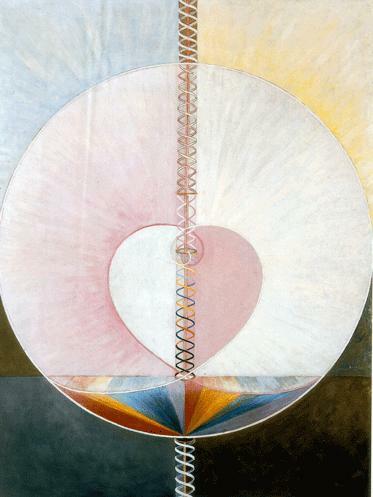 I feel the link of the South Node to the unconscious can work on many levels, as sometimes the South Node of the Moon aspects do not actually take away but instead bring something important, and to me this links with Carl Jung’s conception of the unconscious being a fertile source for our lives. Another view of the lunar nodes is found in the system of evolutionary astrology developed in part by Jeff Green, in which the South Node of the Moon signifies the totality of past influences of conditioning on the present moment, while the North Node of the Moon signifies the inner and outer experiences that the Soul desires in order to facilitate its ongoing evolution. Within this system of astrology, Jeff Green created an interpretation for the transiting lunar nodes that I have consistently found to work and bring insight with anyone I work with in astrology. Here the transiting North Node of the Moon as it makes aspects in your chart and crosses a specific house is pointing toward new choices that will help one move away from whatever has been preventing necessary growth. In addition, one can look at the transiting ruler of the transiting North Node of the Moon to gain further insight into where new growth-oriented choices can be found. Bearing all of this in mind, it means that the insights we gain at this time of a Scorpio superior conjunction of Mercury are vitally important. Mercury’s superior conjunction is always important, but it does indeed possess amplified significance now that transiting Mercury is also the ruler of the transiting North Node of the Moon. When Neptune stations direct, this transpersonal planet that is so often in the background and out of consciousness for so many suddenly becomes viscerally felt on a widespread level. Neptune signifies the multitudinous meaning found in images, the ineffable meaning felt at times through our collective unconscious, and is known as the great dissolver that can melt previous secure structures of thought into a process of disillusionment, confusion, and disorientation that can then lead to a reorientation with reality more resonant with the sense of truth we are gaining from our evolving experiences. Neptune stationing direct with Saturn applying to a last quarter square is making the feeling of disorientation much more profound, the feeling of disillusionment more overwhelming. In connection with the transiting lunar nodes, while I am an astrologer who believes that Jupiter rules the sign of Pisces, I have also found through my work in evolutionary astrology that when wielding this system Neptune’s rulership of Pisces clearly works. It is worth considering that in evolutionary astrology Neptune is now the ruler of the transiting South Node of the Moon, and so indicating Neptunian influences of past conditioning interfacing with the present moment. This brings about inner reflection into one’s personal history of illusions, delusions, deceiving others, and being deceived by others. The self-knowledge that can be gained out of this comes from taking personal responsibility for whatever inner dynamics contributed to these situations. The depth of perception offered by Mercury having it’s superior conjunction in Scorpio now is perfect for taking a dive into our internal realms in this way to find what we can discover. In addition, with the devotional Vesta currently being conjunct the South Node of the Moon in Pisces, there is intense focus available to tap into the spiritual lessons that can be gained from this process. Any process of disillusionment occurring now can be ultimately seen in the Jupiterian, big picture way of Sagittarius and Pisces as leading toward a rediscovery of truth and a release of past attachments of belief and thought that we realize are out of alignment with our personal truth. In our collective, unfortunately we will also continue to witness a reaction of many clinging to the dogmatic side of Saturn in Sagittarius- these individuals will turn toward beliefs of nationalism and religion that are on the side of exclusion and fear rather than inclusion and love. Again, with the superior conjunction of Mercury happening now in Scorpio, we can also turn the penetrating senses of the Scorpion into the dark underbelly of our sordid surrounding societies. The Scorpio superior conjunction of Mercury occurs in the third face of Scorpio, associated with the 7 of Cups card illustrated by Pamela Colman Smith. 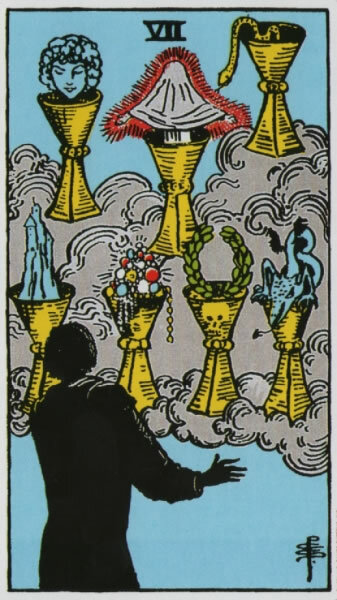 In this image we see seven chalices holding strange visions floating above a figure cloaked in shadow. The images held in the chalices are associated with common human desires such as fame, wealth, love, power, and transformation, yet the cynosure of this assembly appears to be a veiled figure with open arms emerging from the center cup. This card is often associated with being overcome by visions to choose from in an atmosphere of illusion and temptation, most of which if not all are unlikely to lead to anything solid we can sustain. There is also a practice of interpreting the card as indicating the possibility of discerning the one choice that will bring clarity, illumination, and increased opportunities for choices one desires. Since the superior conjunction of Mercury can coincide with spiritual insight and discernment, this latter interpretation is a definite potential gift at this time to unveil. This is ultimately a face of wrestling with one’s own desire nature, for it leads one inevitably back to confrontation with the nature of desire itself. It is the property of no one else. The floating cloud of fantasies must be recognized as wholly one’s own . . . It is a matter of the transformation of a desire rather than its immediate gratification in sense-objects . . . The process truly described is the dissolution or putrefaction of desires back into their raw, un-structured form- their prima materia . . . We bury the corpse of past loves and wait for the flowers to grow from their graves . . . When desire’s hungry ghosts have finally been laid to rest, the compost is complete, and a rich loam results. In the grave soil of yesterday’s loves, anything can grow. This face is thus a formula of liberation, for if we were not capable of laying our desires to rest, returning them to pure energy, we would be enchained forever, prisoners of what we once held dear. (p. 187-188). Venus is the ruler of the third face of Scorpio where the superior conjunction of Mercury occurs, and Venus is currently in Libra in a very significant aspect of applying to a last quarter square with Pluto in Capricorn. Venus is at home in Libra, lavishing in the adornments this sign of relationship, art, and justice provide her. With Venus in square to Pluto in Capricorn, our sense of justice will be outraged in the face of oppression and abuse propagated by hierarchical systems of power. In accordance with Neptune stationing direct, it also can intensify disillusionment that leads to deconditioning from consensus, mainstream beliefs embedded in the power structure. On a personal level, we can also begin a reorientation at this time toward taking the responsibility to fulfill our own needs in relationship as well as meeting the needs of our partners in relationship. In all of this, we find a soulful gift in the form of Mercury entering the heart of the Sun in Scorpio, for perhaps in no other sign can we feel all of this as intensely and burn off what now needs to be purified for our beckoning future life together. Mercury enters the heart of the Sun at 20° Aries today at it’s Superior Conjunction. Demetra George has taught that Mercury’s Superior Conjunction is like a Full Moon (in contrast to it’s Inferior Conjunction during Mercury retrograde that is like a New Moon), and also like Mercury in Sagittarius because our mind can be flooded with an overload of information difficult to process and integrate yet at the same time bringing potential for inventive insight. This is a moment to seize for inner contemplation and processing, being open to receive the message available to your mind- whether you are meditating or being active does not matter so much as being open and aware of the magic found in this moment. In Pacific standard time, the Superior Conjunction hits on April 9, 2015 at 9:01 pm, yet in other time zones it will happen on April 10 such as in the Central Europe time zone at 6:01 am. It’s not like you have to be doing some sort of special personal ritual at the exact moment of the Superior Conjunction, but if you can aim to be aware of the phenomenon in the general time frame and work with it, it can have more of a conscious impact on you. The timing of Mercury’s Superior Conjunction now, with Jupiter having stationed direct on the previous day, during the disseminating trine phase of the Moon in Sagittarius following last week’s Lunar Eclipse, means that there is a powerful cosmic message to receive about your purpose in life. If you want to be astrologically analytical about it, focus on the houses holding fifteen to twenty degrees of Aries and Libra (the range of the Libra Lunar Eclipse to the Aries Superior Conjunction of Mercury) and the aspects made in your chart, especially if you have planets in Cardinal signs (Aries, Cancer, Libra, Capricorn) between roughly twelve and twenty-three degrees. Last week’s Lunar Eclipse has awoken something huge in your life, no matter how completely aware of it you are at present, and when this happens a lot of fear and nervous skepticism can emerge in the face of the great changes arising in our life. Mercury at the heart of the Sun at twenty degrees is an extraordinary position of manifesting and initiating our deepest desires. At the moment it is best to be open to receiving the vision of the life you want to create and feeling the real possibility of it occurring, rather than knowing the exact way you will be getting there. Invoking courage on the path we want to follow now will help open us to receive the message of how we will be getting there in the coming weeks. The Superior Conjunction of Mercury marks the point in it’s cycle when it shifts from a Morning Star to an Evening Star- it’s just this close to the Sun, within about fifteen degrees, we cannot see Mercury. Classical astrology views Mercury in this range of the Sun as being burned up by the rays of the Sun, and the fact that we cannot see Mercury has given it a more challenging reputation in this part of it’s phase. However, classical astrology also sees Mercury this close to the Sun, within seventeen minutes or so, as so special that the term cazimi arose, which can be translated “as if in the heart,” and is associated with strengthening- in this case, an illumination of Mercury. Following the upcoming New Moon on April 18, 2015 Mercury will emerge again as an Evening Star briefly at twilight on April 19, at which point Mercury will be in a conjunction with Mars in Taurus. Boldly envisioning with faith that the most heartfelt desires that arose in the past period of the Libra Lunar Eclipse have the real potential to manifest will enable you to better receive the upcoming message from Mercury united with Mars in Taurus of how to make it happen. This Aries Superior Conjunction of Mercury is especially fiery and liberating, as it occurs within range of a conjunction with Uranus in Aries and a trine with Jupiter in Leo that stationed direct on the previous day. 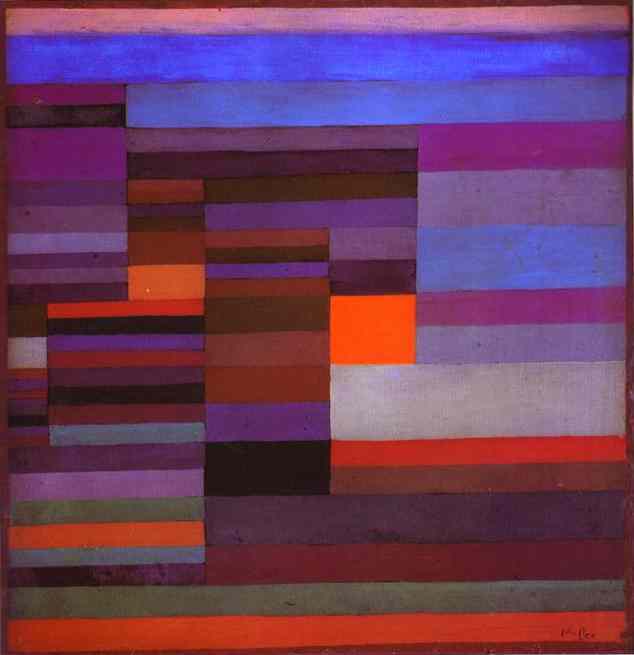 As a result, there is a huge theme of Jupiter expanse and Leo creative actualization to this Superior Conjunction. 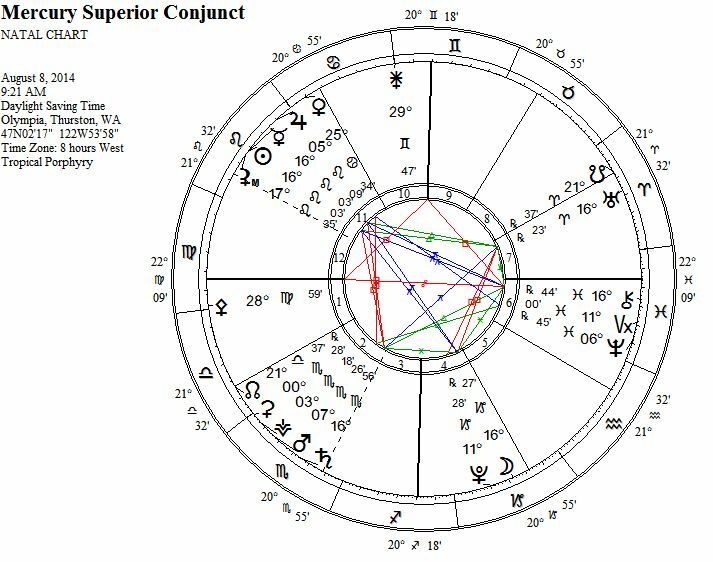 Jupiter stationed retrograde on December 8, 2014 at 23° Leo, and incredibly the last time we had a Superior Conjunction of Mercury was also at this same time at 17° Sagittarius. In between these Superior Conjunctions of Mercury we had the Mercury retrograde phase in Aquarius and the Inferior Conjunction at 11° Aquarius on January 30, 2015 (this was like the “New Moon” of Mercury that preceded the current “Full Moon” or Superior Conjunction). With the Moon also in the fire sign of Sagittarius and in trine to this Aries Superior Conjunction of Mercury, there is more than the usual potential for the quality of your mind and thought-forms to facilitate change in the reality around you. The note of caution is that all of this fire energy can also make those unaware more arrogant and egotistical, the “high minded” sort who are filled up with more “hot air” than they realize. Also, as Mercury can be a trickster we should as always when working with Mercury be aware of things not being quite what they seem as well as having a healthy sense of humor about our current circumstances or predicaments. Within all of this fiery astrology there remains the earthy, grounded positions taken up by Venus and Mars in the sign of Taurus. Venus only has a few days left in her transit through her home sign of the Bull, but has gracefully remained in her home in order to help us receive and embody the message from this Aries Superior Conjunction. With Venus and Mars both in Taurus, and with Mercury on a path of eventually emerging again as an Evening Star in conjunction with Mars in Taurus, a pivotal theme of this Mercury message is the necessity of patience and determination in the process of bringing our deepest desires into our reality. Paying attention to our bodies, nurturing our own health through nutrition and active exercise, will also help ground out our mental circuits that could become over-activated by all of this fiery, creative, mental stimulation. Ideally we can use Venus and Mars in Taurus, with the help of Saturn still in Sagittarius, to bridge our imaginal realm with our corporeal realm through the synthesis of Jupiter and Mercury that are both so active right now. Jupiter and Mercury are associated with opposite signs of the zodiac, yet within the consolidation of their polarity is found our ability to both expand beyond previous patterns of limitation, as well as reach a state of mind that feels Whole. 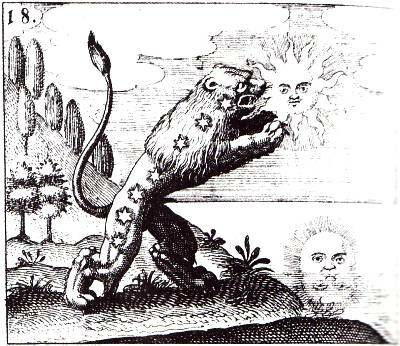 The alchemical Mercury, from Tripus aureus (The Golden Tripod) by Michael Maier, c. 1618. August 8 presents a moment of legendary proportion to center within a superior conjunction of Mercury with the Sun in Leo, as the Moon waxes toward another potent astrological moment two days later on August 10, when we will experience a loaded Full Moon in Aquarius. Since Mercury goes retrograde into an inferior conjunction and then swings round again into a superior conjunction three times a year, we have three of these superior conjunction moments every year to experience Mercury moving at it’s fastest speed into the heart of the Sun. However, this is a uniquely special superior conjunction as at this time Mars in Scorpio is square Jupiter in Leo, the Moon in Capricorn is conjunct Pluto and square to Uranus in Aries, and most of all the superior conjunction of Mercury with the Sun in Leo is in trine to Uranus in Aries and in square to Saturn in Scorpio. Demetra George compares the superior conjunction of Mercury to the detriment label of Mercury in Sagittarius as it can be like an insight of genius as well as a mad overflow of information to process- in either case this is because our minds can be full of so much unintegrated information at this stage of Mercury’s cycle that we can be challenged to fully digest the material. This meaning corresponds to the speed of Mercury at this time, moving as fast as the fleet footed messenger ever moves, as from our perspective with Mercury on the other side of the Sun, it appears that Mercury is flying into the Sun. Once Mercury gets close to its conjunction with the Sun, however, it takes on a “cazimi” meaning (some consider this to be less than one degree, others less than seventeen minutes) in a moment in time that brings the potential for a re-integration of all the material collected in the mind since Mercury moved direct in its last retrograde cycle on July 1. In the chart above one can see the intense interactions occurring between planets in Leo and planets in Scorpio, including the close conjunction between the calculation of the mean Black Moon Lilith and the superior conjunction of Mercury in Leo with the Sun, all in square to Saturn in Scorpio. This is a square of manifestation that is an apt symbol of this entire astrological period leading up to the Full Moon in Aquarius. Like the idea of Dane Rudhyar that at the Full Moon we can receive illumination and vision that gives symbolic expression to the fulfillment of our past, the square from Saturn in Scorpio to Mercury’s superior conjunction enforces the necessary limitations and structure upon our perception and experience to cause what has been felt inside to now be seen within our reality and consciousness. With Black Moon Lilith included in this aspect, it can also mean a feeling of any inauthentic aspects of our recent identity being cut away from us as we integrate the illumination of the superior conjunction. We can emerge with a purified boldness to radiate like the Leo Sun. Just as the Full Moon receives the full light of the Sun to illuminate us, so Mercury orbiting close to the Sun at the time of its superior conjunction receives insight to transmit to us. However, at the time of the superior conjunction the Moon is in Capricorn, square to Uranus in Aries, and conjunct Pluto in Capricorn. This is another deep and hard aspect that while challenging, all together makes it possible to receive real knowledge about our self and our world from the trine between Mercury’s superior conjunction and Uranus in Aries. A dear friend of mine recently told me that she sometimes hardly notices a trine, and that it can feel more like she is going out for some ice cream; however, when she experiences a square from a power agent like Saturn, it can feel like her entire world and reality is shifting. This is very true of this moment in time- Uranus can correlate with shocking insight, Pluto with cathartic confrontation, and so this ongoing square between these heavyweights is completely activated by this Leo superior conjunction of Mercury. With Saturn further squaring it, there is no escape from the truth. If we are centered in our truth at this time we can express it fully and courageously. But hold on folks, we cannot forget to mention Mars loving it up in the sign of Scorpio, a zodiac sign giving Mars a full expression of all of his passionate, desirous, and yes, manipulative and maleficent nature. Mars in Scorpio at this time is in square to Jupiter in Leo as well as in trine to Neptune in Pisces. Our desires and sense of personal will as a result can lead us into experiences that reveal disillusionment in one way or another- it will be the hands-on knowledge we gain from our experiences that our desires magnetized that cause this disillusionment. In combination with Mercury’s superior conjunction that is conjunct Black Moon Lilith and in square to Saturn in Scorpio, this can be an essential stripping away of what is false to reveal a more authentic presence. It may feel very fiery in nature, like the ancient concept of the “art of fire” from alchemy that inspired modern psychologists such as Carl Jung and James Hillman to develop alchemical psychology. While some purists like to argue against the plausibility of constructing psychological theory inspired by the chemistry of alchemy, there are nonetheless countless aspects of alchemical psychology that are not only thought provoking but can be very pragmatic at times, no matter how “far out” the ideas may feel to some. For those who get pushed to the edge of consciousness and beyond, theories like alchemical psychology can actually be an essential guide. 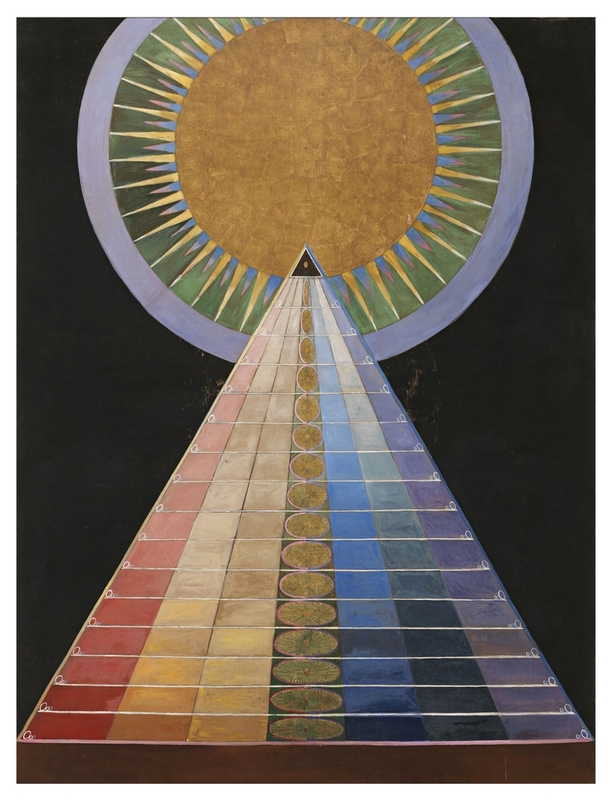 I heard a lecture by Robert Bosnak on the Jung Platform in which he described alchemy as a lyrical mode of perception in an emotional way that is far removed from logic- it feels expressive, emotional, passionate, and deeply felt, like the idea of the world being born as a sea of sparks arising from the unknowable. Our bodies form around this essential spark and so like an alchemist we can work to connect with this spark of matter inside of us. Embodied imagination is essential in this process, and all of our imaginations can be sparked by Mercury’s superior conjunction. 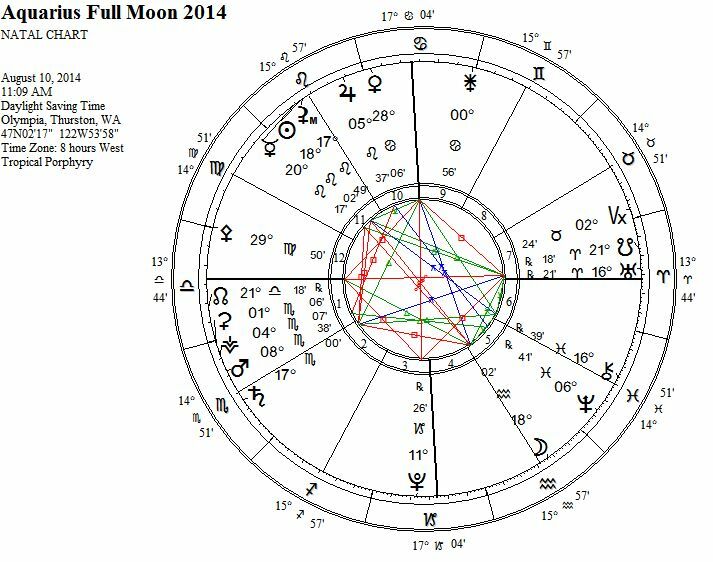 Of course, many of the aspects in the Full Moon chart above are the same as at the time of Mercury’s superior conjunction, but the difference is that the full lunation is illuminating everything in starker contrast. It is important to remember as well that Saturn is the traditional ruler of Aquarius, and so from that perspective the square between Scorpio Saturn and Leo Mercury/Sun is emphasized. 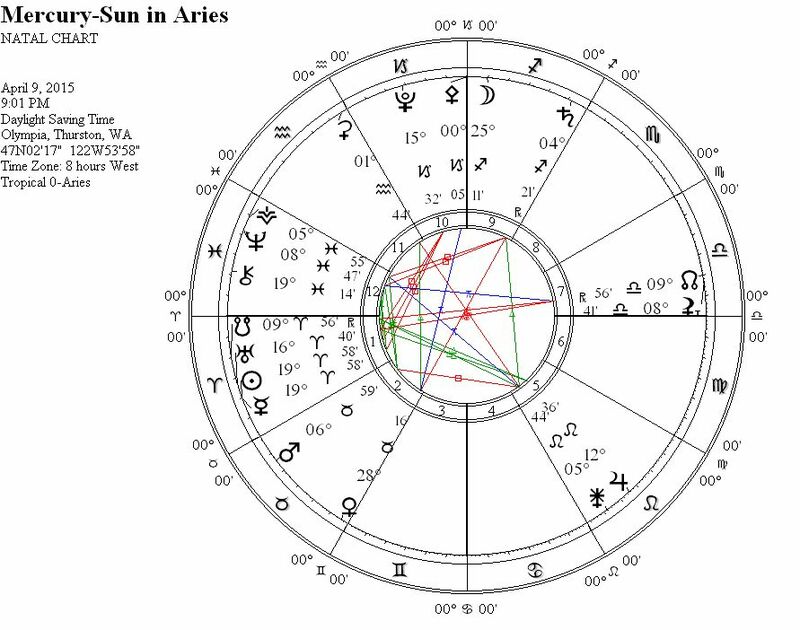 In addition, if you prefer the modern rulership of Uranus of Aquarius, then the trine between Uranus in Aries and the Mercury/Sun conjunction in Leo is highlighted. Either way, this is a very powerful Full Moon, and not just because it is a Super Moon so close to our Earth. Whatever sparks of creative inspiration emerge for us now, we will want to take responsibility to integrate this insight into our daily work. Dane Rudhyar in his Astrological Mandala described an interesting Sabian Symbol for this Full Moon at 19º Aquarius: “a forest fire is being subdued by the use of water, chemicals and sheer muscular energy.” Rudhyar wrote that the keynote for this symbol is about “the skill and courage necessary to bring under control the destructive potential of carelessness of karmic visitations” (p. 261). Our world is full of immense and extraordinary conflict, destruction, and trauma at this time. As the world servers among us want to find areas to focus on and help facilitate productive change in one way or another, many of us are also confronting our own personal demons that we want to shift into more of a connection with a universal “higher mind” that will help navigate us in a direction in line with the “good” of all beings everywhere. The aspects of this Full Moon make solutions to both of these scenarios a real possibility. Finally, it is worthwhile to note that there is “sympathy in the square” between Leo and Scorpio according to the ancient astrologer Rhetorius the Egyptian, because they are signs of “equal rising” that are contra-antiscia across the equinox axis of Aries and Libra. In the days leading up to Mercury’s superior conjunction, both Mercury and the Sun in Leo became contra-antiscia to Saturn in Scorpio, meaning that Saturn could “hear” both Mercury and the Sun. In addition, at the time of the Full Moon in Aquarius, Mars in Scorpio will be contra-antiscia to Mercury in Leo, meaning that Mars will be able to “hear” Mercury during the Full Moon. These aspects mean that although these squares between Leo and Scorpio may seem intense, they also hold strong resonance for manifestation, and can help us work productively with whatever conflicts arise. If you want to read more about antiscia, a good resource is the website of Seattle astrologer Kate Petty. Life may feel like a whirl wind at the moment, so it will be best to go into the spiral.